The Detroit River waterfront venue has recently hosted performances by Patti LaBelle, Erykah Badu, Nas, and Jhené Aiko. Yesterday (August 30), Chene Park hosted a Franklin tribute concert featuring Gladys Knight, the Four Tops, Ron Isley, and others. The concert was one of several local tribute events for Franklin in Detroit this week, including a public open-casket viewing and today’s star-studded memorial service, which can be streamed live. Franklin, the daughter of Detroit minister and civil rights leader C.L. Franklin, got her start singing in local churches. She died at home in the city on August 16 at age 76, following a battle with cancer. The Aretha Franklin Park renaming proposal will officially be passed this coming Tuesday, September 4, Detroit City Council President Brenda Jones said in follow-up remarks at the memorial service. 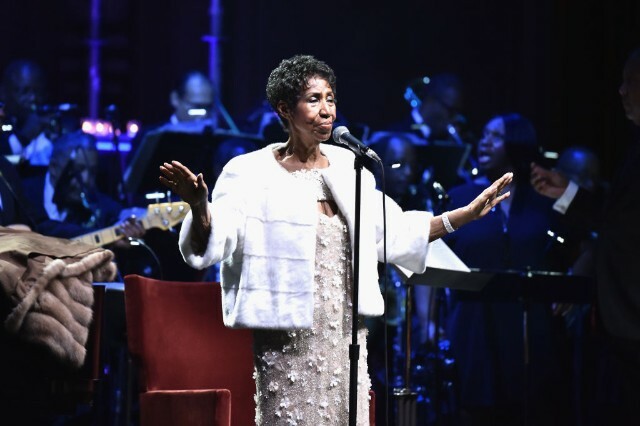 Last year, Jones hosted Franklin at another official city tribute: an honorary renaming of a portion of the city’s Madison Avenue as Aretha Franklin Way.